There's a saying that "the law you learned in law school is the law," the law you instinctively think of when a legal question arises. This saying has particular resonance for professors, who are tasked with teaching the law, even when it's changed substantially from when the professor herself was in school. 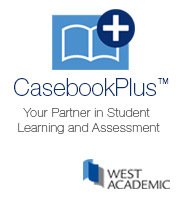 The issue is even more resonant for casebook authors. Writing a book, or a new edition, requires making hard choices about excising or minimizing cases that were the law when the author was in school. It's a recognition of the passage of time, and, therefore, of our own aging. In the most recent version of our con law casebook (note the subtle product placement), we were faced with some choices of this sort. I'm curious about the choices others would have made. So here's my question: for those of you who graduated from law school at least ten years ago or so, what canonical con law cases would you consider to have dropped out of the canon? Let me explain some things here. First, the question is primarily aimed at people who have been out of school for a while, for the obvious reason that for recent grads, they law they learned in school really is still the law. (But more recent grads are of course welcome to participate in any way they choose.) Second, dropping from the canon doesn't mean simply overruled, or deprived of precedential weight. Presumably, almost any con law book has to include Dred Scott and Lochner. Rather, the point is that the case has lost its pedagogical value because it's been superseded, either by later cases or more current debates. I'll start the discussion by noting a couple of our choices in the Commerce Clause area. First, we demoted Heart of Atlanta Motel and Katzenbach v. McClung from full-blown excerpts to notes. These are great cases to teach, but with Lopez, Morrison and Raich on the books they seem to me to have faded in significance. (Wickard has not similarly faded, it seems to me, because it's still recognized as the template for part of the modern analysis.) Second, we demoted the entire National League of Cities-Garcia debate to a note. The debate is still important, as it provides the backdrop for the commandeering cases of the 1990's; that's why the cases weren't totally excised. But the Court has now had twenty years to mount a frontal counter-attack on Garcia, and it seems not to have shown any inclination to do so. So how'd we do? Any other suggested deletions from the casebook canon? For that matter, do more recent cases call for considering the addition of older cases not considered part of the canon? Kurt: I do mean that; I should have been more precise. Bill, when you say "first application of footnote four," do you mean the first application of the equal protection paragraph? Otherwise, I'd say West Virginia Bd. of Ed. v. Barnette contains the first application of fn four. Joel: Thanks for the thoughtful comments. You make good points about the Commerce Clause cases (including Garcia); I think what they (your comments) suggest is that there are many reasons to include a case in a book, even if fails the basic "is it still good law" test I noted in my original post. As for your comments about Parents Involved, again I think your point is well taken, though the Brown implementation cases certainly make a great point about the limits of courts in changing basic social institutions. I think the real question is whether a teacher wants to have students think about that issue as a major them of the course. As for Korematsu, I think it's crucial that it be in. Indeed, in the past I've used Korematsu mainly because of Murphy's dissent, which strikes me as perhaps the first application of footnote 4, even though Murphy never cites Carolene. But after 9/11 it has clearly become even more salient. A very interesting question, Bill. Lopez and Raich do put some pressure on the space available for other Commerce Clause cases. I continue to present Heart of Atlanta as a main case in part because it's a nice vehicle a)to expose students to some history re race in America which they are not familiar with, and b)to suggest the wide-ranging and important purposes to which the Commerce Clause was put. We also have retained Garcia in part because the various opinions put a number of themes in play and it's a nice vehicle to consider why 25 years later it survives given the predictions in the Rehnquist and O'Connor dissents particularly since the "federalism five" imposed limits elsewhere. I haven't looked at what the various casebooks include dealing with school desegregation cases but I think there's reason, after Parents Involved, to streamline some of the cases between Swann and PICS (depending what's included, perhaps by covering Keyes, Freeman v. Pitts, Missouri v. Jenkins in notes). And post-Grutter, it's harder to include Bakke as a main case although Justice Marshall's dissent is so different from what is written elsewhere by the Court that it's unfortunate not to encourage the students to see it. Regarding inclusions, Bolling v. Sharpe is often presented as a note, I believe, but I think it's worthy of being included as a case. It's very short but raises the interpretive questions regarding the constitutional norms limiting the federal government regarding race and it raises some of the interpretive challenges of textualism and originalism. Finally, I don't know how many casebooks include Korematsu as a main case, but especially post 9/11 the reason to do so grows. Brown is certainly foundational to contemporary EP jurisprudence (see the opinions in Parents Involved). But I think the plurality opinion in Casey has a much stronger claim to serving as the foundational analysis of "liberty" under the DP clause than Roe (a criteria important to "my" canon). The Casey plurality competes, of course, with the analysis in Glucksberg and McDonald, but it expressly informed Kennedy's opinion in Lawrence. Still, you and the professor you mention are right about Roe as a case raising important questions of judicial decision-making, even if Blackmun's opinion itself has little continuing jurisprudential importance. And all of us have those cases we believe should be seated among the great, regardless of contemporary importance. For example, I believe Jackson's opinion in Barnette contains the best statement of contemporary constitutional liberty ever penned by a member of the Supreme Court--but it's sometimes omitted altogether from con law casebooks. Kurt: Thanks for your comment. I tend to agree with you on one level -- you're right that there's relatively little of Roe's reasoning that stands as modern law. But I would suggest that maybe Roe deserves to stay in, now not as a statement of law, but as a canonical case that continues to have influence, if only (for some) as a negative example. Basically like Lochner or Dred Scott (although I don't want to cast any aspersions by association by lumping those cases together). I was talking to a professor last night who considers Roe and Brown the two most important cases in her syllabi, as they both speak to the role of courts in society. That might warrant retaining at least some version of Roe, despite it's being severely limited by later cases. A few quick thoughts: Roe has to be a candidate. It was the central DPC case when I in law school, but very little, if any, of Blackmun's original reasoning continues to matter after Casey. Also, I'd be willing to bet that a number of casebooks (unlike yours) had reduced Wickard to a quick note--if so, that decision should probably be revisited. Finally, U.S. v. Guest played an important part in my con law class, as I recall, but it has been displaced by Boerne and Morrison.